Save time and money with the brand new edition of Taste of Home 5 Ingredient Recipes. 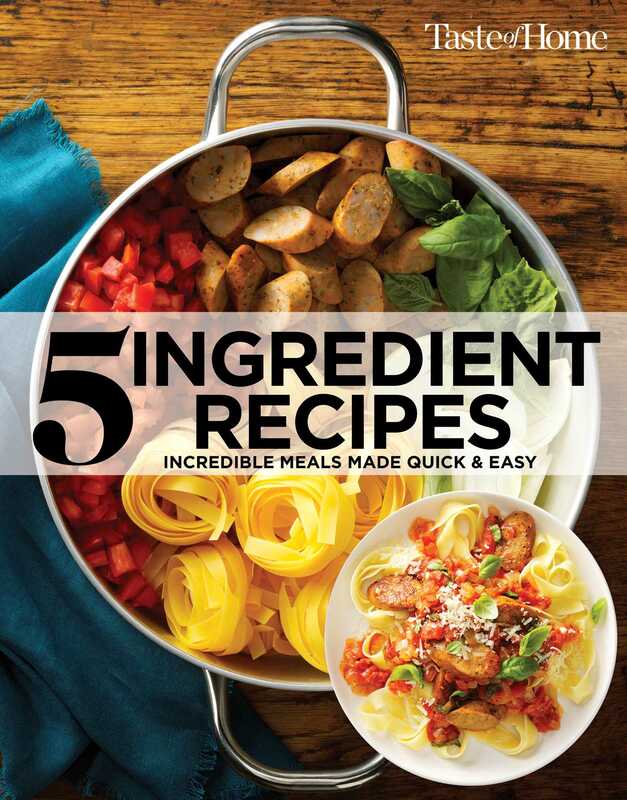 Cook everything from tantalizing appetizers to satisfying dinners and savory sides to delectable desserts using only 5 ingredients, most of them readily available in your kitchen pantry. Discover hundreds of satisfying main dishes, quick-fix sandwiches, comforting soups and family-favorite desserts…all of which come together with a handful of kitchen staples! You’ll even find 5-ingredient side dishes, salads and breads that round out meals in a flash. Includes meatless, appetizer and breakfast chapters. These clever recipes come from savvy home cooks who know how to pump up flavor with just a few ingredients, and now we’re sharing those secrets in this exciting new collection.